The foreign merchants at Halab were almost all French or English. They were separate self-regulating communities. Their governments made agreements with the Sultan defining their national merchants’ privileges and appointed consuls at Halab who acted as intermediaries between merchants and the authorities. In 1743 Samuel Bosanquet, born in 1700, purchased Forest House at Leytonstone near the junction of James Lane and Whipps Cross Road. The House survived until 1964, though Whipps Cross Hospital was built inside its grounds in 1903. 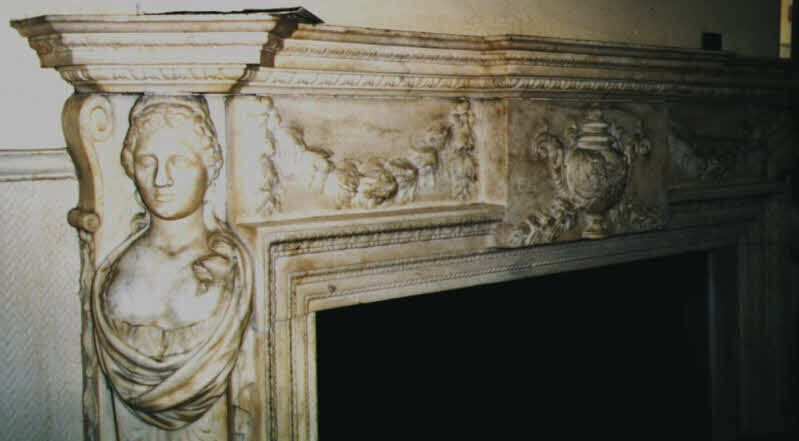 An elaborate fireplace preserved inside the original entrance to the hospital, and possibly sections of the perimeter wall, are the only survivals. Samuel Bosanquet was the second son of a David Bosanquet who had taken refuge in London from persecution of Protestants by King Louis XIV of France. Samuel could only afford to buy Forest House because his older brother David was disinherited in 1730 for marrying against the wishes of his father, who died in 1732. With suddenly improved prospects Samuel was able in 1733 to marry Mary, daughter and heiress of William Dunster, a Deputy Governor of the Levant Company, a Deputy Governor of the Royal Exchange Assurance, and a resident of Leytonstone. Samuel Bosanquet purchased the manor of Low Hall, Walthamstow in 1741, and was a churchwarden at Leyton 1742-43. Samuel’s older brother David had worked in Halab when he was a young man. Foreigners at Halab were tolerated but kept at a cultural distance. The English had their ‘Khan’ or ‘factory’, a compound with windowless walls on the outside, a courtyard at the centre, storage rooms on the ground floor and living accommodation above. This arrangement has been compared to the cells of a convent and to a university college quadrangle. This photo is of a courtyard residence that was not, as far as I know, a merchants’ khan.